If you own or operate a small to medium-sized business in Southeastern Massachusetts and you don’t have a company website, it’s time to do something about it. If you have a business website, but you haven’t updated it in months or maybe even years, it’s time to do something about it. If you are ready to establish your brand within the industry and compete with competitors in your area, throughout the state and around the world, a brand new website that incorporates the latest technologies and marketing tools with affordable managed services is exactly what you are need to make your mark and get ahead. In a world where consumers turn to search engines, web-based reviews and informative articles before making a decision on the products they buy and the services they use, it has become essential for businesses to have a solid online presence. In order to create a strong online strategy that will help you to stand out from the crowd, expand your demographic and increase your bottom line, you have to be ready to use all of the available technology at your disposal to showcase your offerings and reach today’s consumer. Our team of skilled website developers can help you achieve your goals. You may have what you consider to be a “good-looking” website that features a slick 3D version of your company logo, some awesome coordinated colors and a fancy splash page with basic details about what you sell and provide. Unfortunately, there is much more to building a successful website than having a page that looks good. Function, through the form of consumer interaction, support, purchasing options and feedback provision, are just some of the tools that today’s consumer requires from every website they visit. If you are unable to keep up with consumer demands, your visitors will move on to another business that can. Wareham Web Design specializes in creating powerful, interactive and forward-thinking websites for small and medium-sized businesses. Our goal is to give you all of the tools, functions and advancements that you might find on a large business website, but with easy-to-use administrative options, affordable managed services, quality web hosting and secure online forms, all from one comprehensive provider. The options and features that we provide give you the tools you need to effectively showcase, market and sell your products and services to your target demographic. 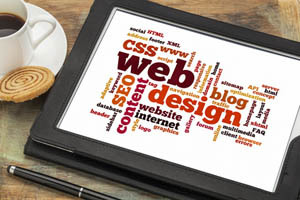 When you hire Wareham Web Design to create your new website for your small or medium-sized business, you will gain years of knowledge and experience through our team of skilled website developers, designers and optimization experts. We don’t just create a great-looking website, we provide you with a quality design that has all of the function and relevance you need to take your business to the next level, expand your reach and boost your results. Give us a call today at 508-415-8648 or send us an email to talk about all of the opportunities available to our clients at Wareham Web Design.